Anjali Kirpalani is a dreamer who loves travelling, reading and dancing. Born in India, she lived in South Africa for 8 years and finally came back to Mumbai in 2008. A multitalented professional who has had various jobs ranging from radio jockeying, business management, marketing, TV reporting, print journalism and voice-over artistry. 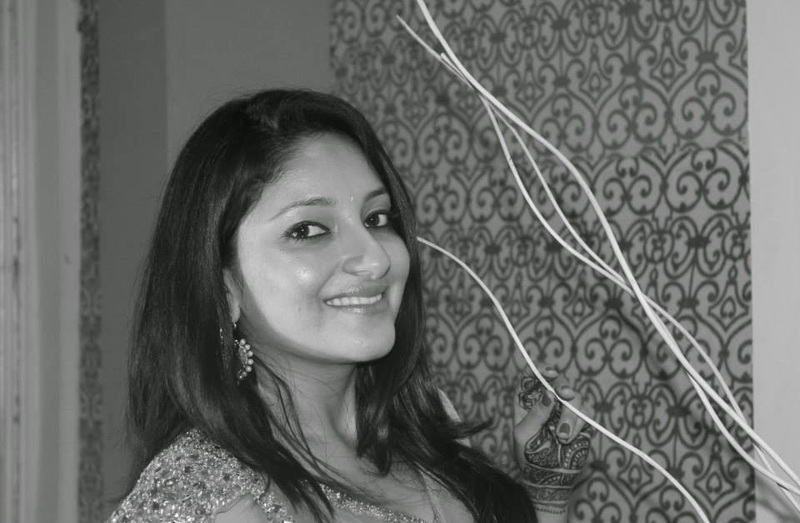 Anjali recently co-founded a PR, Marketing and Social Media agency called Epic Communications and is a full time writer. Her debut novel Never Say Never is quite popular on Flipkart and Amazon and I believe her journey has just began. She is a foodie like me and loves anything savoury and loaded with carbs, especially pizza, pasta, lasagna & sushi. Now you know why this is a good combination. In this honest chat as a part of our author interviews where we catch up with famous authors and their books with Talk To Tiger Anjali opens up her life and shares her journey from her childhood to being a recognized author! Hello Anjali! Welcome to Talk to Tiger! 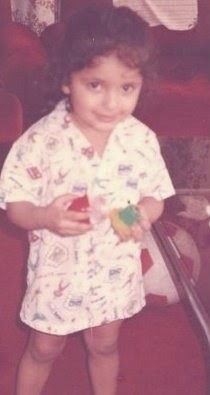 I was born in Mumbai, India but my family moved to Lagos, Nigeria when I was one. We lived in Lagos until I was six. Thereafter, we lived in Mumbai for six years and then moved to Durban, South Africa, where I lived for eight years-phew! I’m the youngest of three girls. Growing up, I’ve lived in Nigeria, India and South Africa. I’ve loved reading from a young age and was more of a ‘sitting indoors reading books-as opposed to going out and play’ kind of kid! I completed my Business Science degree with Honours in Marketing from the University of KwaZulu-Natal in South Africa. I was an exchange student in my last semester of University and I studied at the University of Guelph in Canada for that semester. I completed a Masters in English Literature degree from the University of Mumbai in 2012. I wanted to be an actor! I studied Drama as an elective subject at University and that’s when I realized I’m not very good at acting! I learned that I could express myself much better through writing and that’s when I decided to pursue writing. I also wanted to be a TV anchor as a kid and host my own travel show. I did get to fulfill my anchoring dream while I worked for ET NOW in 2013- however, I anchored business feature shows as opposed to travel shows! I still enjoyed anchoring, though! Tell me something from your childhood that no one knows. This is tricky. Will it go on the blog? She asks me and then ponders before letting it out. I genuinely believed that I would become a famous actress when I was a kid! I would rehearse my Filmfare award acceptance speech and do interviews for this while growing up! My father once caught me talking to myself and giving this speech-he thought I was crazy! and bursts out laughing. Acting to modelling to writing! What was the thought process behind the book? Tell me about the idea. I started writing ‘Never Say Never‘ when I was unemployed and unsure of which direction to take career-wise. I knew I had a good story idea- A story about a twenty-five year old unemployed girl who makes a list of things she will never do. Since life has a plan of its own, however, most of these things end up coming true- and hence- she learns that one should ‘never say never’. The idea came about when I heard my sister talk about how she ended up doing all the things she said she’d never do in life. So the real credit goes to your sister! Why the name Never Say Never? 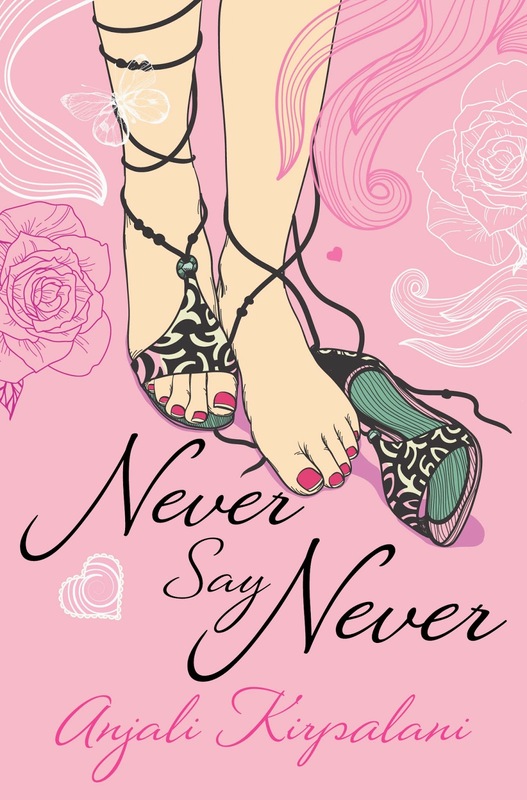 Never Say Never is my debut novel. I came up with the name because I thought it conveys the message of the story in the best possible way-never say you’ll never do something because you really have no idea what life has in store for you! I have received a lot of feedback on my writing style after my debut novel-my readers have enjoyed the fact that my characters are realistic. I wasn’t trying to be pretentious with my novel-so realism is something one can expect in my writing. Also, people have enjoyed Never Say Never because of the humour- I write humorous tales that aren’t too mushy and I think that is my USP. I received a lot of mail from readers but one that stood out was from a young girl. She said that she was very depressed before reading NSN-and reading my book made her realize that everything works out in life, eventually. It cheered her up and inspired her to stay positive. This is what writers actually write for- to make a difference to someone’s life. NSN has been read by people all over the world (thanks to the fact that it is available on Kindle on Amazon.com) It has appeared in the Top 100 Bestsellers in Indian writing list on Amazon.in frequently and is also extremely popular on Flipkart.com. What are your future plans? What are you working on now? I used to allow myself long breaks when I felt ‘uninspired’ but I’ve realized that writer’s block is mostly just writers procrastinating! So now I force myself to sit down and write even when I feel like I don’t have anything to write. Usually, if I push myself, I’ll find that I will start writing and the words do flow. Very few people are as honest as you are. I should try this technique. Please tell me how you prepare yourself to write. I like taking short breaks between writing books or short stories. This time is my ‘ideation’ time. So I read all the books I’ve had on my reading list during this time, read the papers and watch quite a lot of TV during my breaks. This way, I allow myself to get inspired by things I’ve read or watched. This also allows me to get detached from the characters of the last book/story I’ve written so that I can think of a fresh new story! I have two older sisters who are married and live outside of India. I live in Mumbai with my parents. The Alchemist by Paulo Coelho really inspired me to follow my dreams. What would you suggest young people? Thank you Anjali for your time and looking forward to your next books! Never Say Never is available on flipkart. Pick your copy today! You can mail Anjali at anjk87@gmail.com.